Apple's October 16, 10:00am announcement event in Cupertino. Welcome to Yahoo Tech's coverage of Apple's October event! Schiller: And what's it cost? 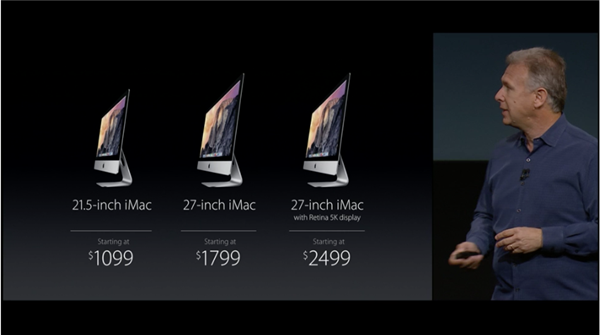 New iMac is shipping today. 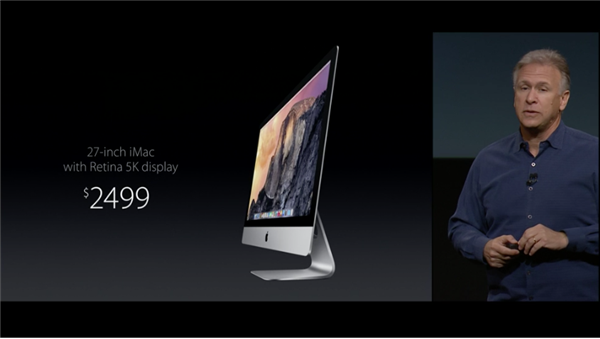 The iMac Retina screen will be $2500. 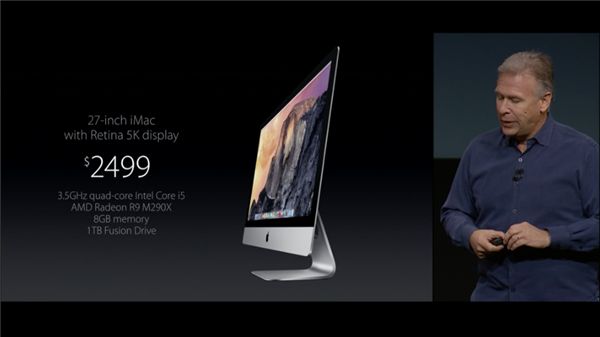 Apple says that's cheaper than a 4K screen ONLY--and you get a free computer. The Mac Mini has been updated, too. Cool-lookin' little box. 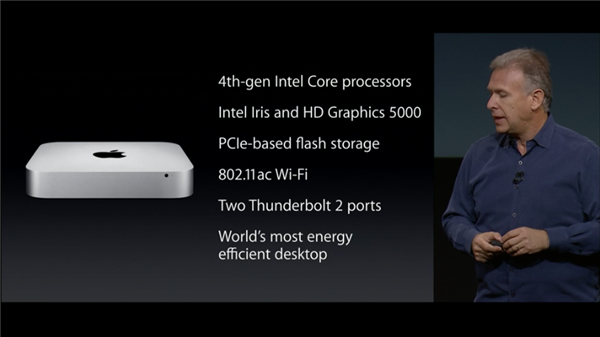 Also updated: The Mac Mini. A whole new version, all upgraded. 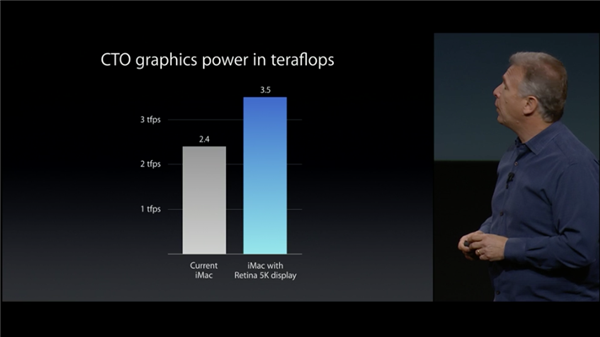 Faster chips, Thunderbolt 2. New Mac Mini now starts at $499. Cook coming back on stage. 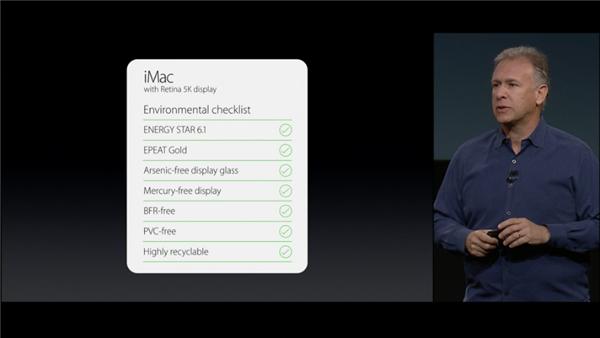 Cook is talking about how the different devices — iMac, Macbook, iPad, Phone, Watch — serve your different needs. Cook: This incredible lineup of products, and the ecosystem that supports them, is something only Apple can create. 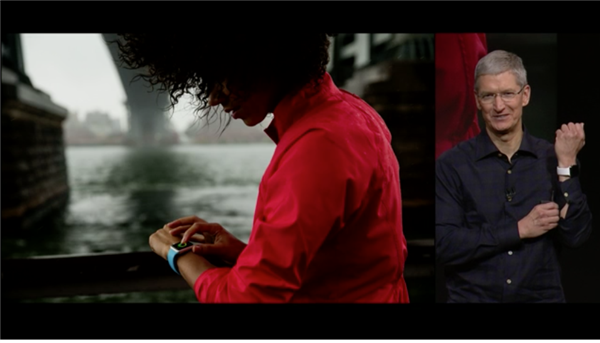 Cook: This is our vision of personal technology, and we are just getting started. Tim Cook is wrapping up the event. The black button-down shirt can go back to the closet for another few months. Thanks, all, for tuning in! And that's it. We're going to check out the new iPad, the iMac with 5K, and there's an Apple Pay demo set up next door. Hi guys! Wasn't that fun? I'm here to answer some post-announcement questions. But stay here! I'm sure a lot of you have questions or comments. Our great tech writers and editors are going to hang out and chat with you. I'll post some pix from the demo room in a few minutes, too! There was! It'll be available for free today in the App Store. Apple hasn't announced any official dates for this yet. Don't worry, we'll be watching closely for them. Don't be so sure. Last month, Apple announced, off the stage, that it was discontinuing its iPod Classic line (yhoo.it/1qfLsLY). So...stay tuned?